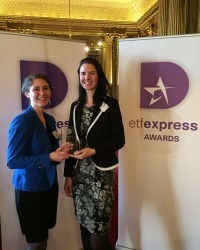 For the third time this year, Euronext has been awarded Best European ETF Exchange and we, in the ETF team, approach the end of 2016 with yet another acknowledgement of our hard work, commitment and enthusiasm. We are sincerely thankful to all who have trusted us and these awards, our outstanding growth and upcoming innovative solutions all represent a truly exceptional year for us. In July 2016, Euronext had 777 listed ETFs from 15 different ETF issuers and 17 Liquidity Providers. YTD July 2016, we had a total of €90 billion of value traded on-exchange and OTC and €310 billion of AUM, and we had listed 119 new ETFs, ranking second in Europe. In 2015 already, our volumes increased by an impressive +74%, more than any other exchange in Europe (+45% in average in Europe). With one point of access, you can trade and cross-list your products on five different markets: Belgium, France, the Netherlands, Portugal and the UK, which makes it very efficient in terms of cost and time saving. The Euronext ETF offer is global, covering more than 500 indices and 20 currencies, we provide a wide range of products, services and platforms with a strong international presence, as well as a harmonised and reliable trading environment thanks to our strong safeguards. Euronext also endeavours to tackle the lack of transparency and the liquidity fragmentation in Europe, by continuously offering innovative solutions. Having said that, the best is yet to come with our future projects in 2017. These include the launch of the first fully integrated one-stop-shop ETF platform through a MTF structure with unique features, such as NAV trading and RFQ services. We are building this revolutionary solution for and with the ETF industry, and we believe it will answer the needs of all the market participants. This client-focused and collaborative approach is key in our ETF MTF project, but also in our global ETF offer, as our first priority is to truly partner with our clients. Learning of another award, Benjamin Fussien, Head of ETFs & Funds at Euronext said, “Being one of the strongest ETF teams within the exchanges, we bring added value to our clients. 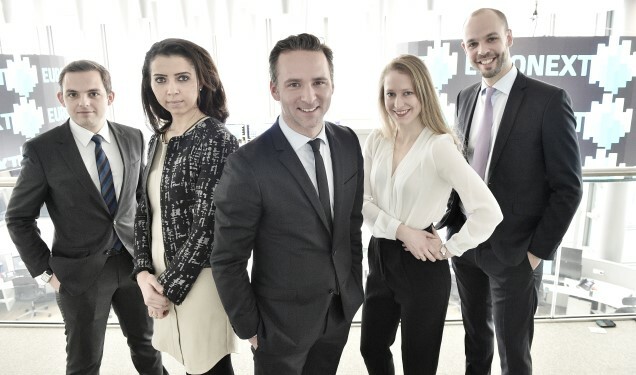 We are a highly talented team with remarkable and diverse strengths thanks to our mixed backgrounds and we are all driven by passion for the ETF industry.” Since his arrival at Euronext in September 2014, Benjamin Fussien has played an instrumental role in boosting the group’s ETFs and Fund services offering and has brought on board many quality team members. Before joining Euronext, Benjamin was Managing Director in Société Générale for 13 years, in the same bank as Brieuc Louchard, who joined the Paris ETF team in January 2015, and Maryne Lefeuvre, who joined a year later to cover the UK region. Before joining the Paris team in April 2016, Roland Prevot had worked in investment banking at Crédit Agricole CIB and HSBC, followed by some time in the Euronext Corporate Actions team, which highly-equipped him with operational experience and expertise on ETFs and other products. As for Brieuc, Société Générale gained him a wealth of experience in both buy-side and sell-side trading. Maryne, on the other hand, enjoys a great marketing background both in banking and at Euronext. We are truly delighted and proud of all these achievements, and will continue to work hard to provide the best and most innovative solutions to the markets’ needs.